The Brixton-born freak beat, electronica, dance-pop, folk, new-wave star made famous with the help of the BBC has touched us all, whether we be super-fans or simply get ‘Changes’ stuck in our head every now and then. Delve deep into Bowie’s odd and extraordinary universe at Paris’s new Philharmonie from March 6 to 8. Alongside the David Bowie Is exhibition, the venue has made the bold move of inviting artists to give performances around the musician and his work. Renaud Coco and Romain Finart will interpret Ziggy Stardust for the stage using theatre, video and music; and renowned choreographer Philippe Decouflé will bring musicians, singers, dancers and performers together in a glam rock show. Last but not least, the Orchestre National d’Île de France led by Enrique Mazzola will play Philip Glass’s symphonies based on Bowie’s ‘Low’ and ‘Heroes’. The symphonies will be accompanied by theatre and dance – lest we forget just how well Bowie can boogie. 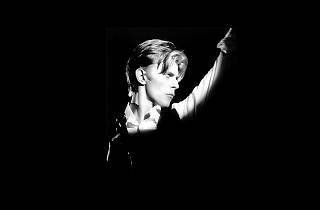 >> Don't miss the David Bowie Is exhibition showing from March 3 to May 31.